Parties With Character and Eventing Tampa Bay will host the first annual Cookies, Carols & Crafts Workshop with Santa & Friends on Sunday, December 3rd at the Straz Center for Performing Arts from 1-3:30pm. The event features interactive holiday activities for children and plenty of face time with Santa, Olaf and his princess friends. Young elves in attendance are encouraged to design a holiday mosaic and ornaments with Bricks 4 Kidz, make and take a pottery piece with Color Me Mine, decorate festive gingerbread men with Sur la Table and design a stocking. During all the merriment, attendees can refuel with festive fare such as cookies and milk, dips from a chocolate fountain, mini sandwiches and Xtreme Juice smoothies. Florida’s renowned kid DJ Aiden Sherlock is booked to spin holiday hits throughout the event along with princesses and Olaf from Parties With Character leading Christmas carols. And it is rumored that the Ice Queen is going to make it snow. Best of all, there’s no need to stand in line at the mall this year to meet Santa. 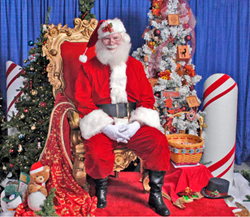 The big man himself has agreed to meet with each child to take a photo and discuss those holiday wish lists. These keepsake photos will be available for personal use digitally at no extra charge. 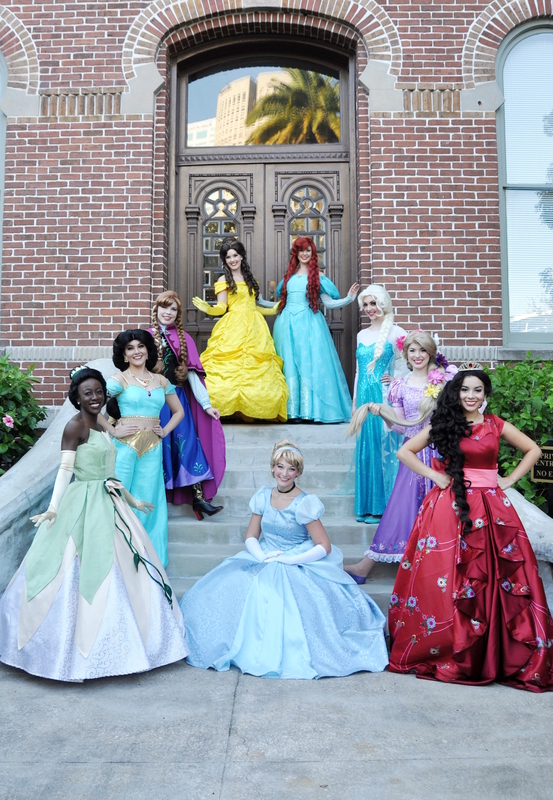 Learn more about Parties With Character, which features theme park-quality princesses in the Bay Area to make events magical and memorable, by visiting: http://partieswithcharacter.com/. More information about Eventing Tampa Bay, a corporate, nonprofit and social event planning firm, by visiting http://eventingtampabay.com/.